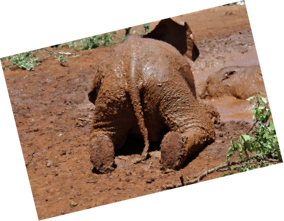 I had the pleasure of watching little baby elephants at the David Sheldrick Orphanage having a great time sloshing around in the mud. 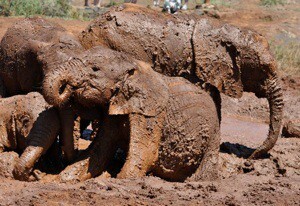 They were slipping and sliding over each other and having a wrestle. 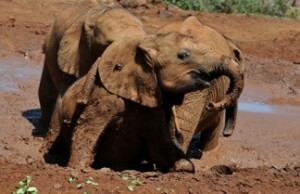 One was just happy blowing bubbles in the mud. 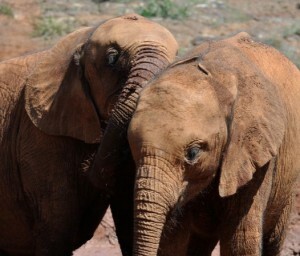 You can sponsor one of these beautiful orphans for just $50 a year. Each month you receive a report about your adopted baby and it’s so rewarding to be part of the animal’s life.